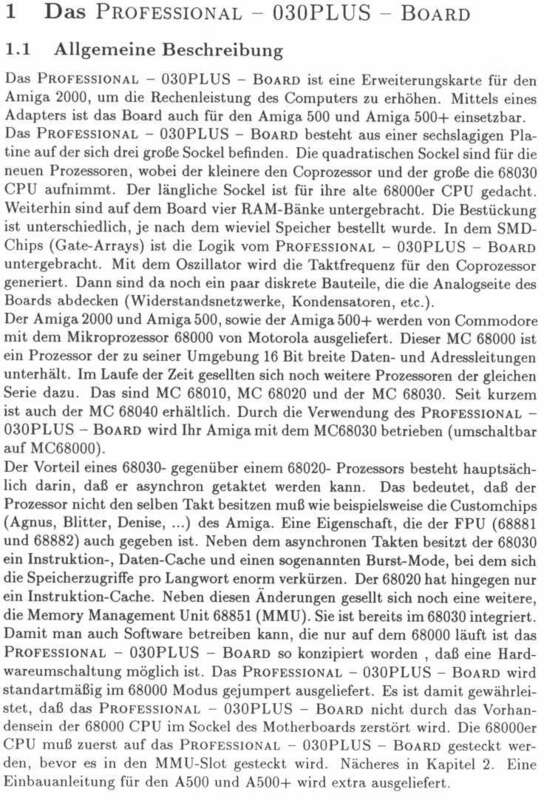 An accelerator designed for the A2000 which plugs into the CPU Fast slot. 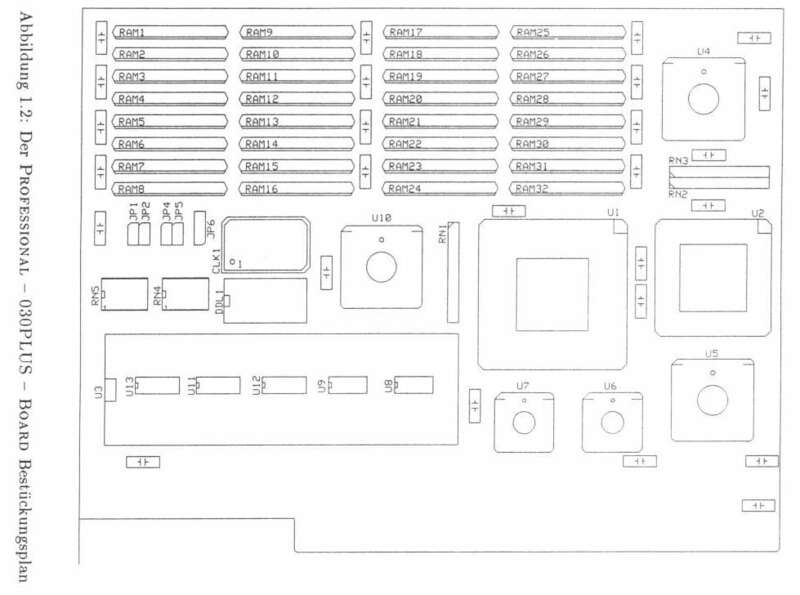 The 68000 should be removed from the motherboard and placed onto the card. 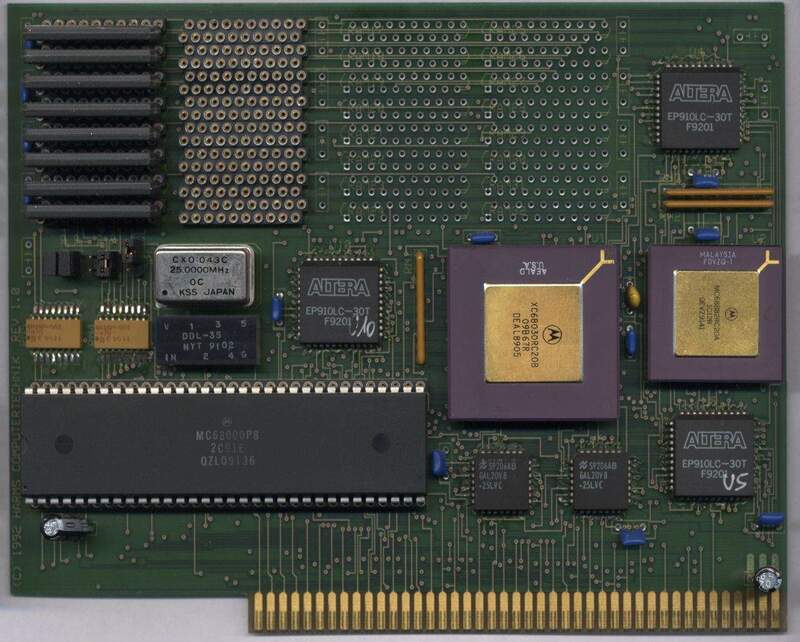 This card can also be used in an A500 provided a special adapter is used. The card also contains a 68000 fall back mode which is for compatibility reasons with old software. JP6 - Connect pins 1-2 if used in an A500, Connect pins 2-3 if used in an A2000. JP4 - Connect pins to drop back to 68000 mode.